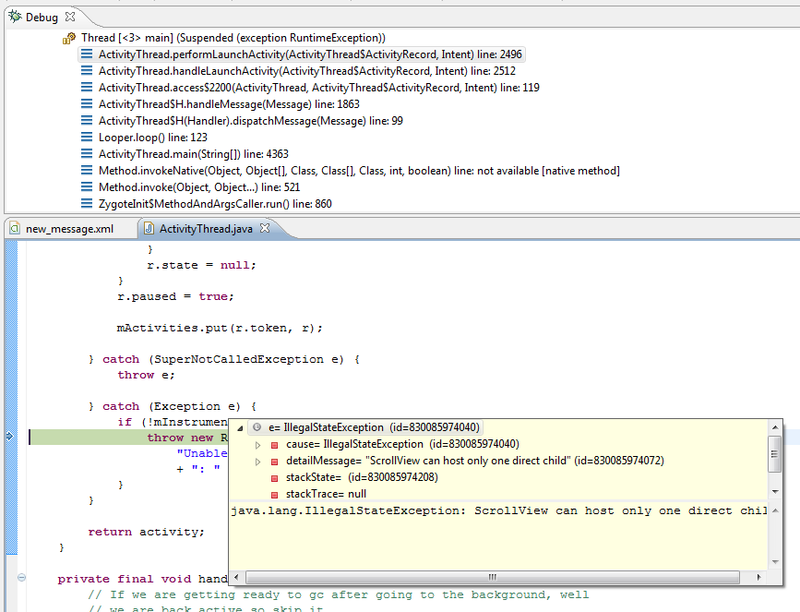 A couple of weeks ago I installed Android sources into my Eclipse environment. My primary motivation was to get JavaDoc comments in code assist, but those sources were also picked up by the debugger. 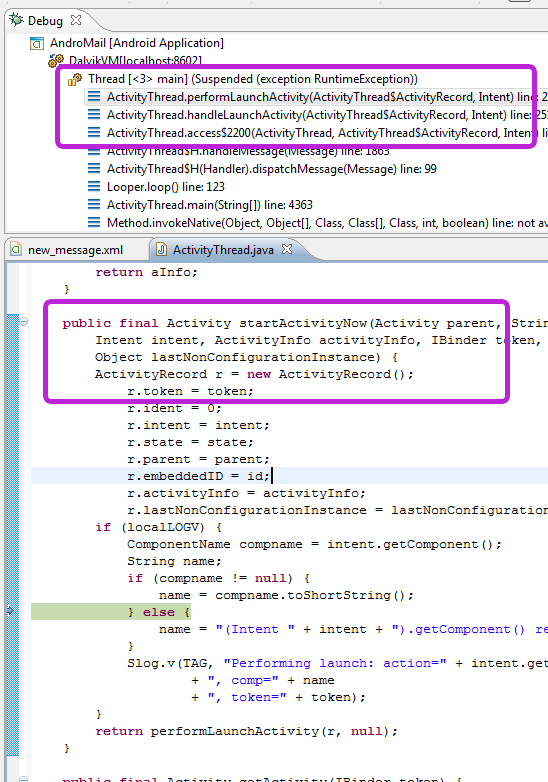 The debugger says the application is stopped inside performLaunchActivity, but the source window shows startActivityNow. Let’s fix that. 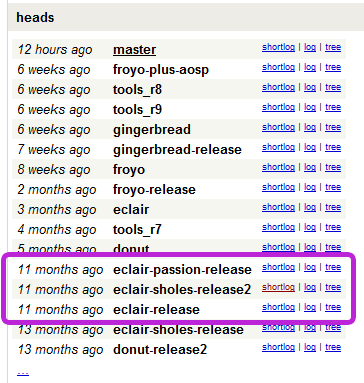 I found what looked like 2.1update1 for my Milestone at the bottom of that page; it was a branch called “eclair-sholes-release2” (“sholes” being the codename for Motorola Droid / Milestone architecture, and assuming that “eclair-sholes-release” was the first 2.1 release). 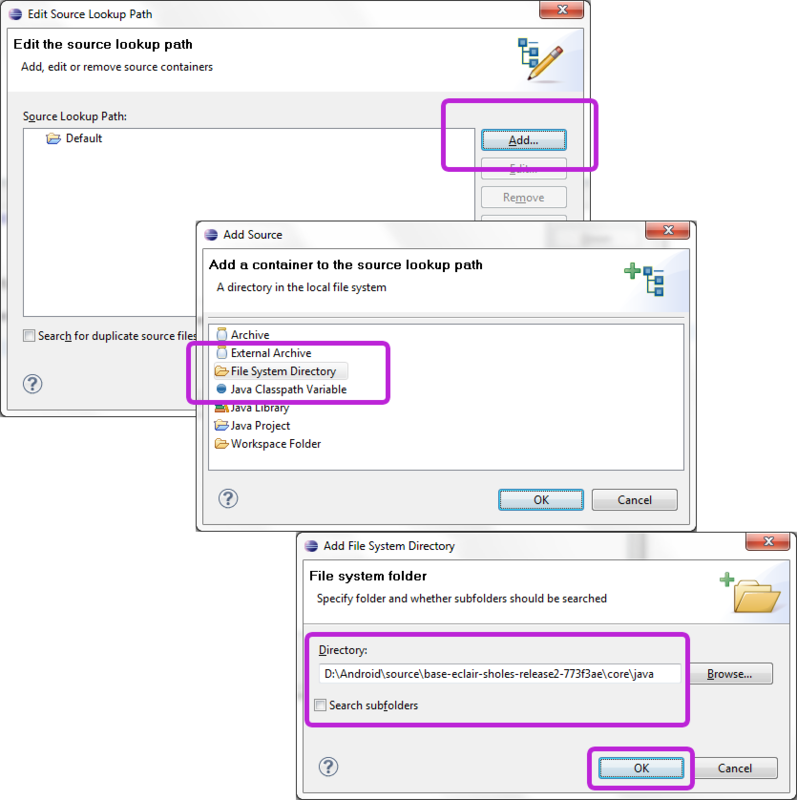 In addition to the list of branches, the page also has a list of tags, which is another place to look for a particular version of Android. 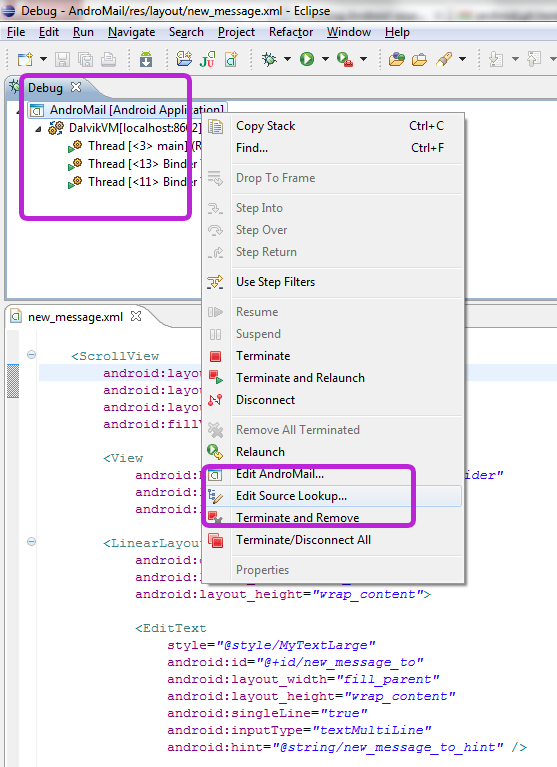 The debugger has its own setting for source code lookup, which is separate from the “source attachment” to android.jar used before. To set this, switch to the debug perspective, then right-click on your running application, and select “Edit Source Lookup”, then proceed as shown below. The left screenshot below also shows a deliberate error I made in one of my layouts, by having a ScrollView with more than one child, thus making my application crash. 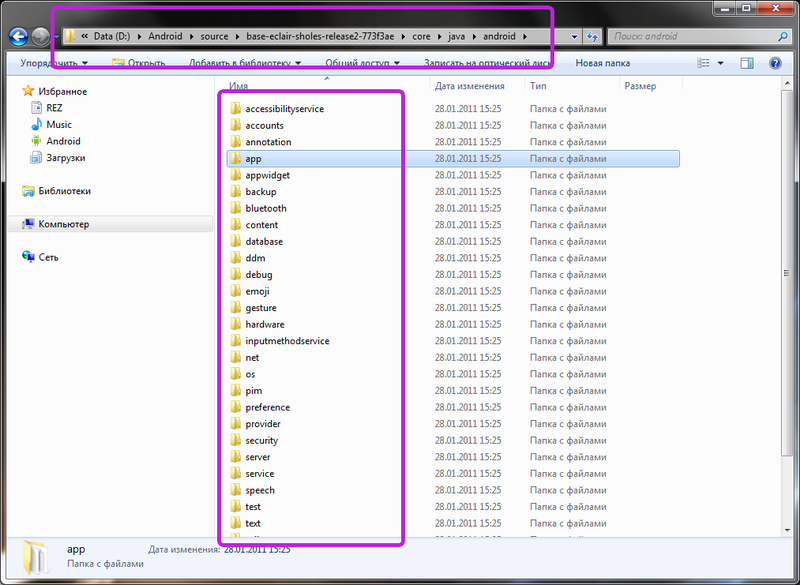 The right screenshot shows how to select the right folder where Android 2.1u1 sources were extracted. this blog is useful like me..
Kostya – thanks for this, it’s very helpful to me.